Home / Entertainment News, Media News, Politics / MUSEVENI is not sparing even journalists, this one was beaten by cops while covering #FreeBobiWine protests (PHOTOs). 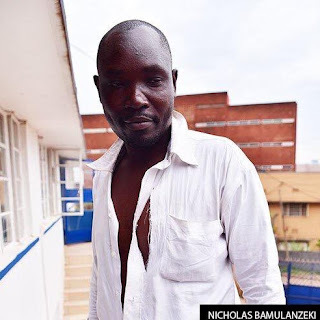 MUSEVENI is not sparing even journalists, this one was beaten by cops while covering #FreeBobiWine protests (PHOTOs). Tuesday, August 21, 2018 - This photo-journalist who works for Uganda’s Observer newspaper was injured by cops while covering the ongoing protests against Bobi Wine’s arrest. The cops tore his clothes and inflicted injuries on his body.